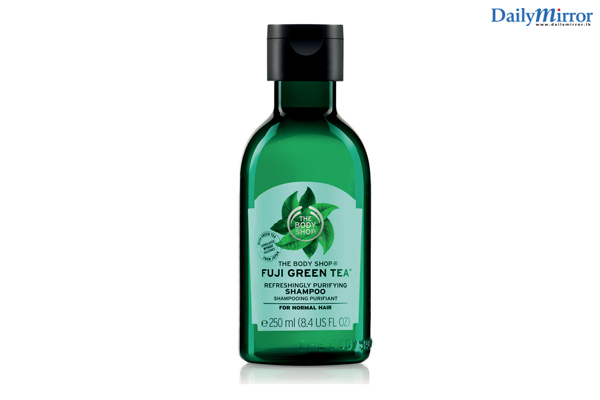 The Body Shop has announced its latest contributionfor a healthy scalpand rejuvenated hair with the introduction of Fuji Green Tea Cleansing Hair Scrub in Sri Lanka. Fuji Green Tea Cleansing Hair Scrub is inspired by a blend of Japanese green tea, mint menthol, salt crystals and Community Trade honey from Ethiopia. Apart from being exposed to heat, pollution, and myriad other external factors, one’s hair and scalpare also victims subject to the daily stresses of blow drying, and the damaging effects of numerous styling products which typically contain a cocktail of harsh chemicals.In order to restore damaged hair to its natural glory, it is favorable to move towards a hair care regimen which focuses on complete nourishment and care, as opposed to one which focuses solely on “shampooing and conditioning”. 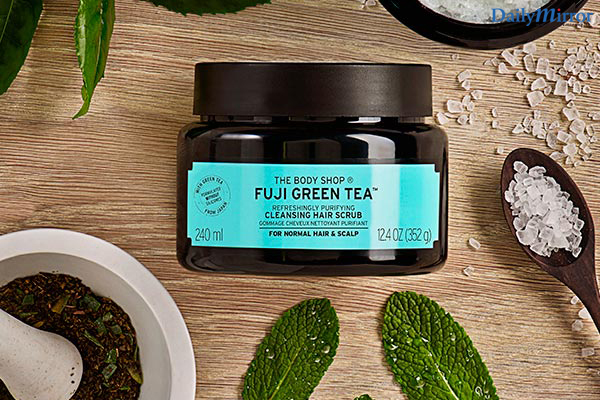 Fuji Green Tea Cleansing Hair Scrub potently cleanses hair of any styling products, unclogs pores, and deeply conditions the scalp to restore hair to its natural state. Formulatedusing a silicon-free formula, this hair scrub enhances blood circulation to the scalp, thereby aiding the repair and regrowth of damaged hair. In keeping with The Body Shop’s ethos of “Enrich, not Exploit”, all ingredients are 100% vegetarian, paraben-free, and have been sourced whilst being fully compliant to ethical trade guidelines. The Green Tea leaves utilized in the hair scrub have been sourced from the foothills of Mount Fuji and have been carefully hand-picked from the Shizuoka region of Japan, thus ensuring the usage of nothing but the best. 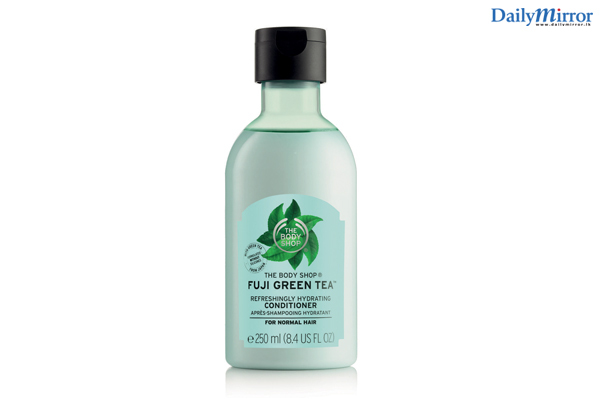 The Body Shop in Sri Lanka has also introduced two more new products- the Fuji Green Tea Purifying Shampoo and the Fuji Green Tea Purifying Conditioner. These two products complement the Fuji Green Tea Cleansing Hair Scrub, further helping to round out a complete hair care regimen. The Body Shop’s time tested hair care favouritesare also available in Sri Lanka. 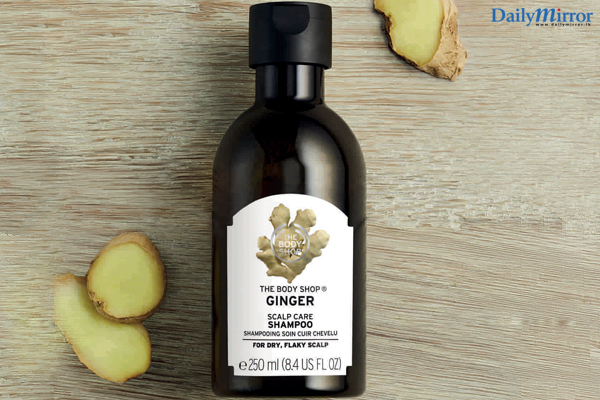 The iconic Ginger Anti Dandruff Shampooclears looseflakes and soothes the scalp. The Body Shop bestseller is made with a blend of Sri Lanka’s own ginger combined with birch bark, white willow extracts, and Community Trade honey. As technicolour and platinum locks continue to dominate the trends, it becomes increasingly important to nourish dried out tresses. The Banana Truly Nourishing Shampoo made from Community Trade Ecuadorian banana puree, gently cleanses hair drenching it in an uplifting and tropical scent. 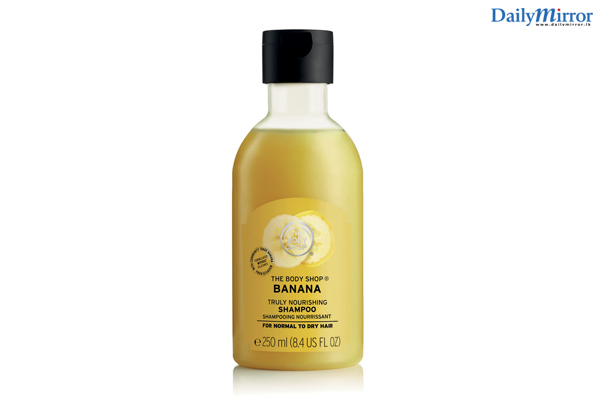 Used in combination with the Banana Truly Nourishing Conditioner makes for softer and shinier locks. 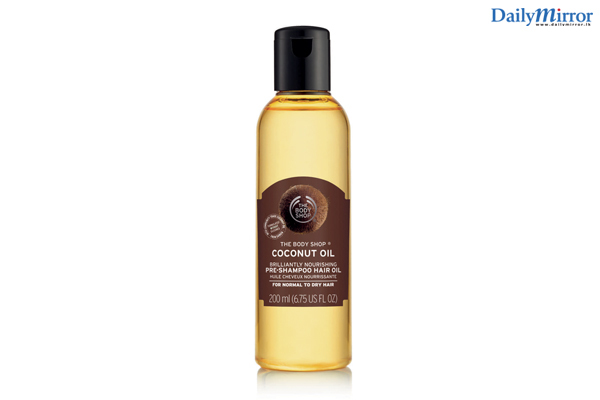 The Body Shop’s Brilliantly Nourishing Coconut Oil is 100% vegan and formulated without silicones. It can be used as a rinse-off treatment, left on overnight for intense treatment or as a post shower leave on treatment making hair stronger, smoother and softer. Paired with The Body Shop’s must have hair tools, the Oval Bamboo Pin brush for thick hair, volumising Styling Brush, Paddle Brush for long hair, detangling Wide Toothed Comb or Mini Bamboo Brush for travel, look forward to a good hair day every day. The hair care products will be available at The Body Shop’s flagship store on Bagatalle Road, Colombo 03, and also at ODEL on Alexandra Place, Colombo 07.